Updated at 8:30 a.m. on April 30, 2018. ChinaAid formerly erroneously reported that Grace Geng, the daughter of missing Christian human rights lawyer Gao Zhisheng, was present at the EU Parliament meeting. Geng was initially invited to the hearing but could not attend. 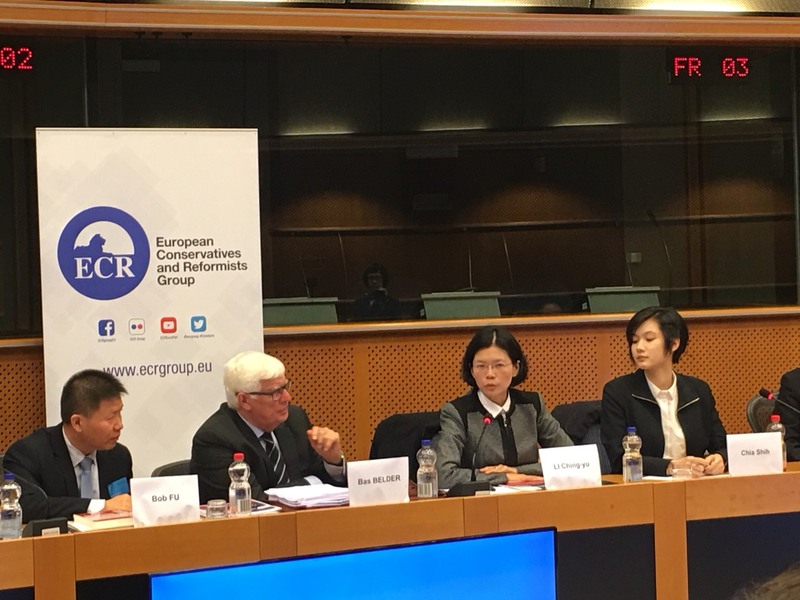 (The Hague, Netherlands—April 26, 2018) A ChinaAid delegation visited the Netherlands yesterday, testifying in front of the European Parliament and meeting with prominent European politicians. On the morning of April 23, a group of Chinese dissidents organized by ChinaAid, who have been traveling Europe and speaking to prominent officials, met with Kees van der Staajj, the leader of the Reformed Political Party and advisor of the chairman of the Netherland’s Christian Union party. They also met with European Parliament members Anna Záborská and Csaba Sógor, both of whom care deeply about improving the lives of persecuted Christians and human rights in China. ChinaAid organizes delegations such as this one in order to expose persecution occurring in China and promote religious freedom, human rights, and rule of law.